Introducing the Celine Spring/Summer 2019 Bag Collection. The debut collection of Hedi Slimane for Celine features new designs with a minimalist style. These.. The much anticipated debut collection of Hedi Slimane for Celine has finally been unveiled during Paris Fashion Week. The collection entitled Paris La.. Introducing the Celine Fall 2018 Bag Collection. Celine presents a new bag this Fall – the Made in Tote bag. The large tote..
Presenting the Celine Summer 2018 Bag Collection. The brand introduces their latest handbags for the season including the Purse Bag. The Purse Bag.. Introducing the Celine Spring 2018 Bag Collection. 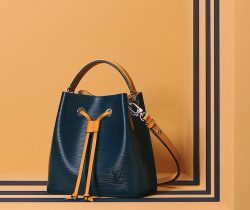 The Big Bag line which was first introduced for the Winter 2017 Collection is back with.. Introducing the Céline Spring/Summer 2018 Runway Bag Collection. Céline Creative Director Phoebe Philo has presented another classic and timeless collection. The handbags seen..
Presenting the Celine Winter 2017 Bag Collection. Celine introduces a variety of new styles this season. These includes the Big Bag and Black.. Introducing the Celine Fall 2017 Bag Collection. Celine continues their minimalist designs with simple bag styles for Fall 2017. The brand introduces their..
Presenting the Celine Fall/Winter 2017 Runway Bag Collection. This season, Celine presented simple designs which are perfect for everyday use. Black shoulder bags..